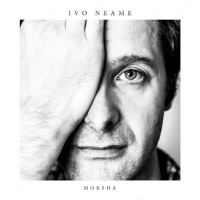 Ivo Neame is finally starting to get some recognition for the talent that he is. In fact, check out the names of the sidemen on this album... they all are great starting points to discover some of the most exciting jazz on the UK scene. Neame is also a member of the Phroenesis, who put out an excellent album in 2012. His contribution to this compilation is a multi-faceted track that toys with tempo and melody, bringing a tunefulness to a complex song. Just wonderful. 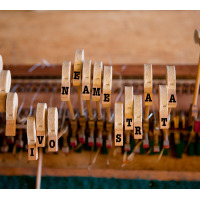 Ivo Neame is a musician of immense talent. He has an astute musical intelligence with a natural improvisatory flair that has seen him develop into one of the busiest and most in demand players on the UK scene. With Yatra, his third album and second on Edition Records, Ivo Neame has taken control of his own destiny and produced an album that will not only impress but look to propel Neame’s career onto a new trajectory. He has pushed himself further than in any of his previous releases; as a pianist, mulit-instrumentalist, composer and bandleader. Written in a very creative time, between periods of intense touring, Yatra is his most defining and original work to date performed with such an idiosyncratic style by one of the classiest bands in the UK. Album personnel: Ivo Neame (piano), Jon Shenoy (clarinet), Tori Freestone (flute, tenor sax), Jason Yard (alto sax), Shabaka Hutchins (bass clarinet), Jim Hart (vibes), Jasper Hoiby (bass), and Dave Hamblett (drums).